The Ontrek Play is an easy to use Entertainment Unit that will brighten up any room with its modern design. One touch Bluetooth connectivity and built in docking plugs, which match a wide variety of devices. Your guests have absolute freedom to enjoy their favorite tunes within seconds of checking in. 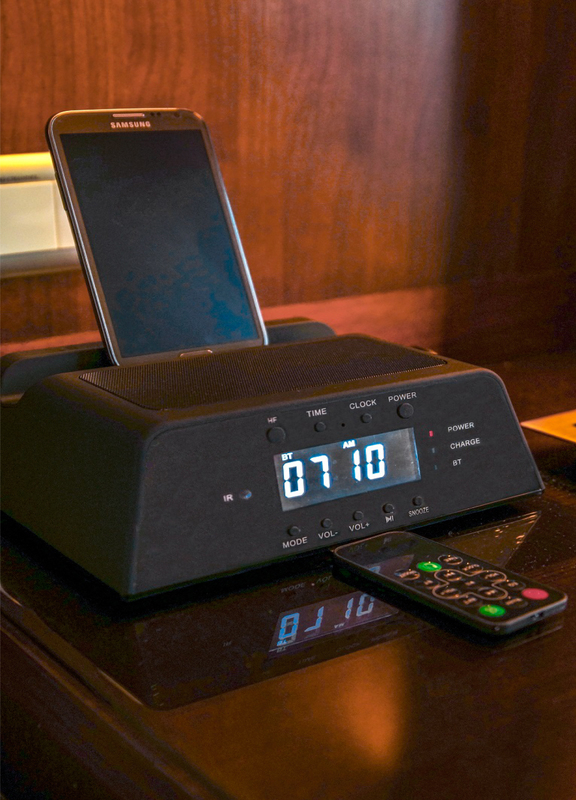 Superior sound quality via two high fidelity speakers and additional features, such as the automatic handsfree capability, an alarm clock with AM/FM radio, plus a remote controller, add to the enjoyment of this unit from anywhere in the room.